HOW MANY HEALTHY MEALS SHOULD YOU EAT PER WEEK? Ever wonder if you were eating healthy enough to actually get results. How many days do you need to eat healthy? What is enough? In this short video I’ll answer that question and I’ll give you some insight on how I do it in my own life. [vc_row][vc_column][vc_column_text]The other day I walked into NY Sports Club at 8pm on a Monday night. There were about 60 people there. I think 50 of them were on the cardio machines, 5 were playing basketball and the other 5 were on the floor using the free weights or machines. 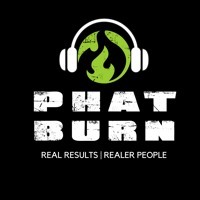 If you have questions about how PhatBurn can help you click the button below and we would be happy to answer them.